Kentucky Ambulatory Surgical Center Insurance. 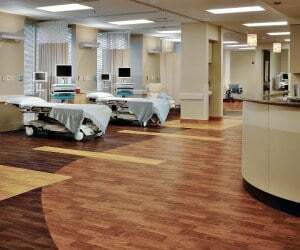 Ambulatory surgery centers provide surgical treatments that are normally performed in a hospital. They do not provide overnight accommodations. They are usually owned by a physician or group of physicians. They may or may not be affiliated with a particular hospital but most have arrangements with a hospital if there are complications from a procedure. People rely on ASCs to complete ophthalmology, pain management, urology, GI, and orthopedic procedures. However, there is a significant amount of risk involved in running Ambulatory Surgical Centers. 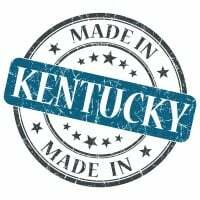 High-quality Kentucky ambulatory surgical center insurance coverage is vital to their success - in the event of an unforeseen event natural disaster, an employee accident, or a malpractice lawsuit. Kentucky ambulatory surgical center insurance protects your facility from lawsuits with rates as low as $127/mo. Get a fast quote and your certificate of insurance now. To protect your KY ambulatory surgical center, you will strongly want to consider malpractice Insurance. This is an essential Kentucky ambulatory surgical center insurance coverage for professional liabilities when rendering your services, treatment, or counsel. Without medical malpractice insurance, you run the risk of being exposed to many liabilities such as: misdiagnosis, neglect, bodily injury, mental injury, duty of care, error or omission, and many more. When your practice is sued, this insurance can cover lawyer's fees, settlements or judgments, and other court costs. If the Kentucky ambulatory surgical center insurance is claims-made coverage, you must have the same policy in force when the incident occurs and when the claim is filed. An occurrence policy on the other hand, covers you indefinitely for incidents that occur within the policy period, meaning you are covered for the time period during which you had the policy even if it is no longer active. It is essentially the same as a claims made policy with a built-in Tail. Commercial General Liability: This Kentucky ambulatory surgical center insurance provides indemnity and expense protection for incidents, including third parties, arising from negligence causing bodily injuries, property damage, and personal injuries that your business caused. This includes slips and falls and loss of or damage to property. Workers Compensation: This is a requirement in most states if you have any non-owner or partner employees. The requirement applies irrespective of whether your staff are full or part time. This Kentucky ambulatory surgical center insurance covers your legal liability to your staff if they are injured at work or become ill as a result of the work they do for you. Business Interruption: This Kentucky ambulatory surgical center insurance covers the loss of income when day-to-day operations are affected and revenue is lost due to a closure due to a covered loss. Commercial Umbrella: This Kentucky ambulatory surgical center insurance policy is designed to provide protection against catastrophic losses and is generally written over various primary liability policies. It essentially acts as excess liability, providing additional financial protection in the case that your ASC faces a particularly large claim that exceeds a single policy's limits. It is easy to see how increasingly popular KY ambulatory surgical centers are becoming. They are fast, easy, and cost effective for both the surgeons and patients. With an increasing demand for patients to have the ability to utilize surgery centers, comes an increase of risks such as unexpected accidents, tragic oversights, or natural disasters. It is critical for these surgery centers to be covered with the appropriate insurance coverage. Don't leave your ASC vulnerable to risks. With the right policy in place, you can rest assured that it can survive unexpected catastrophes. Request a free Kentucky Ambulatory surgical center insurance quote in Alexandria, Ashland, Barbourville, Bardstown, Beaver Dam, Bellevue, Benton, Berea, Bowling Green, Brandenburg, Cadiz, Calvert, Campbellsville, Carrollton, Central, Cold Spring, Columbia, Corbin, Covington, Crescent Springs, Crestview Hills, Crestwood, Crittenden, Cynthiana, Danville, Dawson Springs, Dayton, Douglass Hills, Eddyville, Edgewood, Elizabethtown, Elsmere, Eminence, Erlanger, Flatwoods, Flemingsburg, Florence, Fort Mitchell, Fort Thomas, Fort Wright, Frankfort, Franklin, Georgetown, Glasgow, Graymoor-Devondale, Grayson, Greenville, Harrodsburg, Hartford, Hazard, Henderson, Highland Heights, Hillview, Hodgenville, Hopkinsville, Hurstbourne, Independence, Indian Hills, Irvine, Jeffersontown, La Grange, Lakeside Park, Lancaster, Lawrenceburg, Lebanon, Leitchfield, Lexington-Fayette, London, Louisville, Ludlow, Lyndon, Madisonville, Marion, Mayfield, Maysville, Middlesborough, Middletown, Monticello, Morehead, Morganfield, Mount Sterling, Mount Washington, Murray, Newport, Nicholasville, Oak Grove, Owensboro, Paducah, Paintsville, Paris, Park Hills, Pikeville, Prestonsburg, Princeton, Prospect, Providence, Radcliff, Richmond, Russell, Russellville, Scottsville, Shelbyville, Shepherdsville, Shively, Simpsonville, Somerset, Southgate, Springfield, St. Matthews, Stanford, Stanton, Taylor Mill, Union, Versailles, Villa Hills, Vine Grove, Walton, West Liberty, Wilder, Williamsburg, Williamstown, Wilmore, Winchester and all other cities in KY - The Bluegrass State.